Law and dis-Order: This MP couldn’t keep it together. Before his name was adopted as a long-running television series with a million spin-offs, there was G.I. Joe’s military police officer, Law & Order. 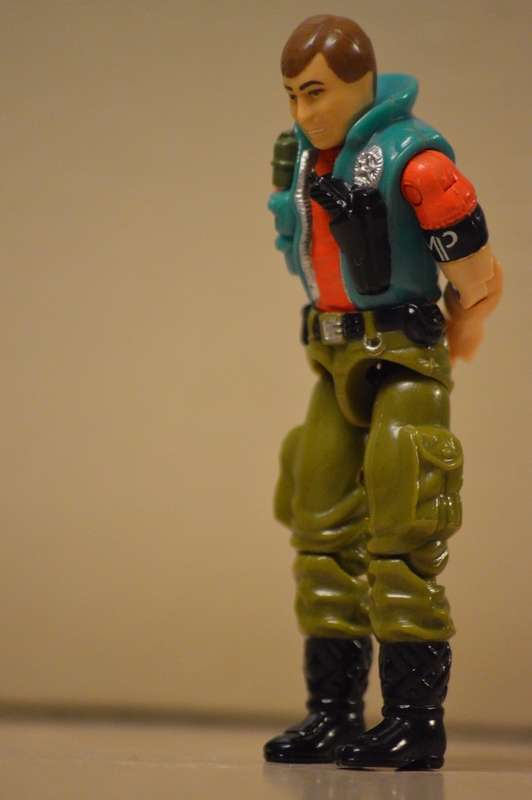 Despite his colorful vest and bright orange shirt, he was a pretty nice character, and one figure I enjoyed having. Sadly, Law’s belongings didn’t stick around. I thought Order was still around, but the pup has gone missing. His white helmet also vanished. 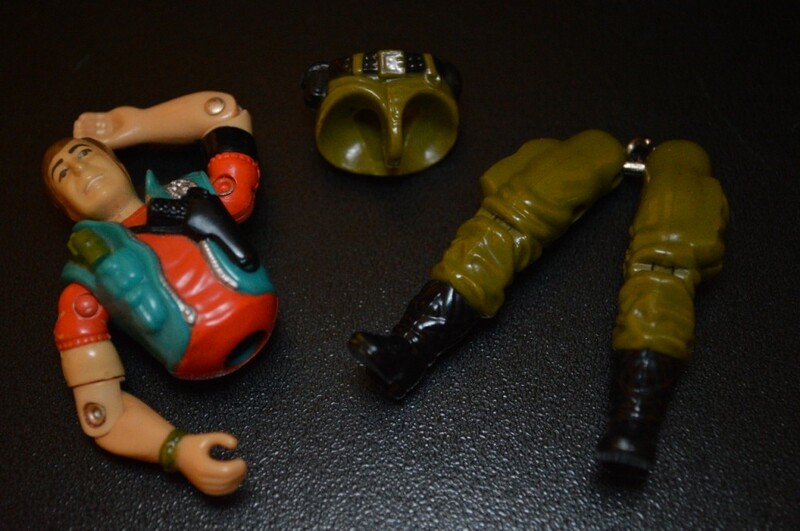 I was able to put him back together regardless. Law also got a little special treatment. His rusty screws were given a vinegar bath.